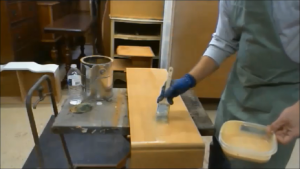 In this article we will discuss the three basic methods of applying finish. The Wiping Rag, The Brush and The Spray Gun. Most woodworkers who have tried all three settle in on a preferred method and stick with it. What follows in this article are some tips that will help you broaden the scope of your finishing talents. 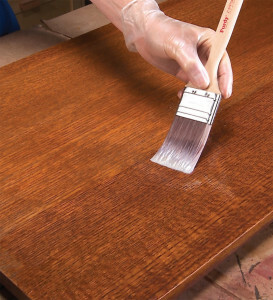 Most finishes can be applied to a wood surface using one of three basic techniques: a wiping rag, a brush, or a spray gun. • Wiping rag: This is the easiest skill to master. • Brush: Amateurs and professionals find this a good choice. • Spray gun: Lays on most finishes fast and evenly. Most woodworkers who have tried all three settle in on a preferred method and stick with it. 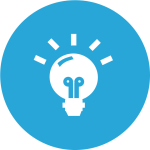 What follows are some tips that will help you broaden the scope of your finishing talents. By far, using wiping rags is the easiest skill to master. They work especially well with slower drying finishes, such as oil-based varnishes and oil/varnish mixes, but they also work with shellac. Wiping rags lay on a little finish at a time, so you're less likely to make mistakes. The key is to use a good lint-free cloth, such as old T-shirts made of cotton that have been washed and dried so many times that they don't have a lot of loose fibers left in them to contaminate the finish. Simply wad the rag up into a ball, dip it into the finish, and have at it. The disadvantage of this technique is that it can be extremely time-consuming to build the final finish, so it isn't a good first choice if you're in a hurry to get the job done. Most amateur and some professional woodworkers prefer to reach for a brush to lay on a finish. Brushes are really efficient for applying oils, oil/varnish mixes, oil-based varnish, polyurethane, shellac, lacquer that's been thinned with slower-drying solvents, and many water-based film finishes. Used properly, brushes lay on a good amount of finish and level it out evenly in the process. Once you overcome the learning curve, using a brush is not difficult. Each type of finish possesses its own particular personality, and you'll often need to adjust the viscosity before brushing by adding some amount of solvent. Also, before you begin, it's always a good practice to dip the brush first into whatever solvent has been used to thin the finish-alcohol, paint or lacquer thinner, or water. Doing this will help the finish to flow more smoothly and minimize the build-up of any dried finish on the bristles as you work the finish. After pre-wetting the brush, dip it about halfway into the finish and wipe off the excess on the edge of the can. The bristles will absorb enough finish to allow you to start putting it on. Begin by holding the brush at an angle, 45° or so to the surface, and lay it on in long, even strokes, working parallel to the direction of the wood grain. To avoid drips and runs on vertical surfaces, it's better to lay on too little rather than too much finish. Correcting those mistakes ultimately will take more time than simply brushing on another coat to get the buildup that you need. For most solvent-based finishes, you'll need a good quality china-bristle or badger-hair brush, and you don't need a very large one-2 ½ in. wide is big enough for most projects. For water-based finishes, some people prefer a brush with synthetic bristles. Also, disposable foam brushes often are overlooked, but they work incredibly well for leveling out oil-based varnish, and even the professionals use them (though some may hesitate to admit it). Foam brushes, however, cannot be used with shellac and lacquer because the solvents in those finishes will dissolve the foam. Without a doubt, you can lay on most finishes faster and more evenly with a spray gun than with any other technique. In professional shops where time is money, spray guns rule for those reasons. They are especially efficient at applying fast-drying finishes such as shellac and lacquer. The downside is, of course, that to use them correctly, you need to invest in air-handling equipment to exhaust the inevitable overspray that accumulates even with HVLP guns that are designed to reduce it. The cost, both financially and in the amount of square footage a booth takes up, makes spraying less appealing to small, home-based shops. It is possible to spray finishes outdoors, in good weather, but then you face other obstacles in terms of wind-driven dust and pollen, as well as insects that can contaminate the finish film. If you choose to take those risks and try your hand at spraying, and if you already own a compressor, you can buy a decent spray gun for as little as $100. You can also spend as much as $1,000 for a top-of-the-line HVLP system, and there are plenty of choices in between. Getting a feel for the right finish viscosity is a trial-and-error process, but it won't take long. Most finishes need to be thinned, some as much as 50%, to get them to flow out the tip of a gun. It's important to keep the gun moving in a smooth, sweeping pattern over the surface of the work, and to overlap the finish pattern as you move the gun across the surface. By applying each subsequent coat at a 90° angle to the last one, you can achieve even coverage.